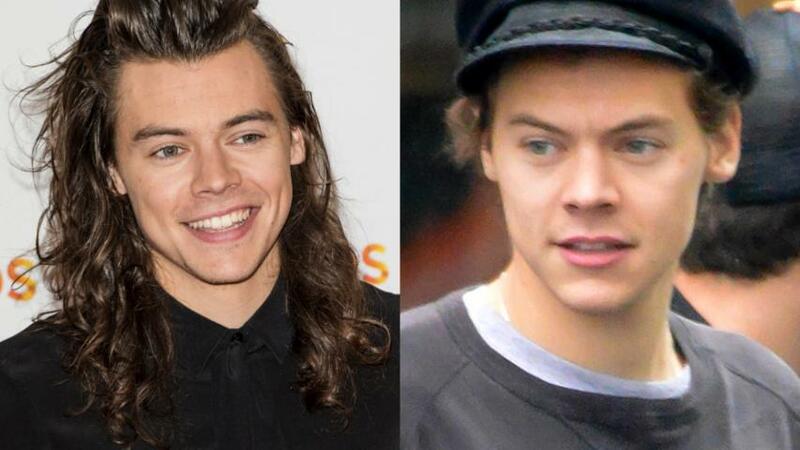 Say goodbye to One Direction star Harry Styles' luscious long locks! The 22-year-old musician has been famously rocking an ever-growing mane of long hair over the past couple of years and, over the weekend, Styles teased on Instagram that he had finally chopped it all off. Now, we get to see what the new Styles looks like! Well, sort of. On Saturday, Stlyes' photo of his left hand giving a thumbs up while simultaneously holding a chopped off ponytail nearly broke the internet. "Whoops," he captioned the photo, in addition to calling out the Little Princess Trust, which prides itself on "providing real hair wigs for children suffering with hair loss." On Tuesday, Styles stepped out in London and partially showed off his new 'do, again teasing his new look for Directioners around the world. Though it's clear from the photos snapped of him on Tuesday that his hair is markedly shorter, his old school newsboy cap prevented the public from seeing his shorter new hair in all of its glory.